Have you ever had an exchange student? Having an exchange student is an experience that is incredibly impactful and will leave you with stories for a lifetime. (My friend Michael had all of his jeans stolen by his exchange student). 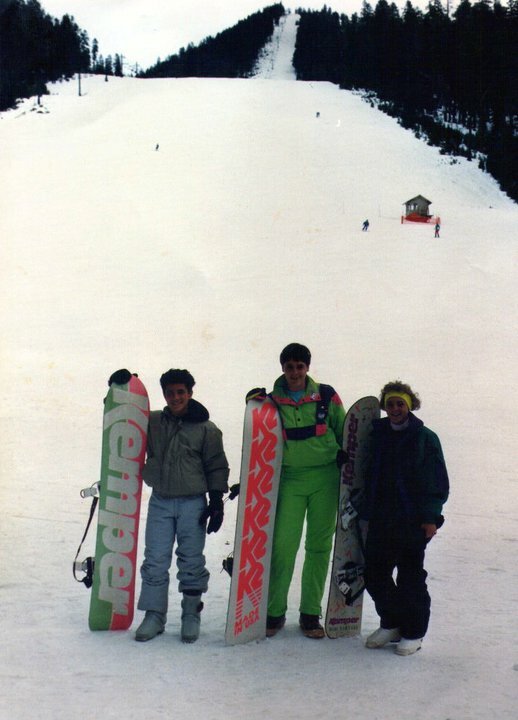 My exchange student Alejandro (left) and me (middle) snowboarding in the early 90s. As we prepare to depart to a foreign land, I’ve been wondering how to connect those in our current community with those in our new community. I have an idea. We’ll be working with Youth Compass, an organization made up of staff people and volunteers who, like many of you, care about middle school and high school students. As many of you know, it’s not the easiest work and a few words of encouragement can go a long way. Julie and I are going on a short pre-trip to Germany on October 11th and we’d like to carry your words of encouragement to the Youth Compass staff and volunteers. An encouragement exchange. Write a note of encouragement to someone you don’t know. They could be a Youth Compass staff person, volunteer, or board member. Here’s what you do know: this person cares about middle school and high school aged kids, and working with that age group can be hard. 1. Write a handwritten note and send it to us. 2. Leave a comment on this blog post and we’ll print it out or write it down. All of the notes will be delivered when we take our trip in October. Do something courageous: Encourage someone you don’t really know! I’m sure this experiment will give us stories to share. Who knows — you may even get a note back.